This application is a super support for all walkers that are heading out on the GR20. A good deal of the accidents that occur every summer are by walkers who no longer know where they are and could have been avoided, if they were equipped with this excellent aid. You can download all the maps before you set out. This way, you are sure to have access to the entire area including the variants. So long as you have a gps signal when you click on the map, the app will indicate your exact position and altitude. The maps are of perfect ign standard and clarity and you can, of course, enlarge them by zooming in. To economize your phone battery, you do not have to keep the screen map open all the time and you can turn off the telephone function. It is worth bringing an extra battery pack and a solar charger is a real asset. Don’t forget you might have to come off the way marked path due to bad weather, or injury and make your way to a road head, or village. You might just simply be in thick fog and can no longer pinpoint your exact location. Whatever the scenario, if it helps you to navigate, this app has got to be an essential security worth having. The great think about iPhiGénie, is that it works without mobile coverage because the maps are stored on your phone. You must, of course, also be equipped with a paper map and a compass. 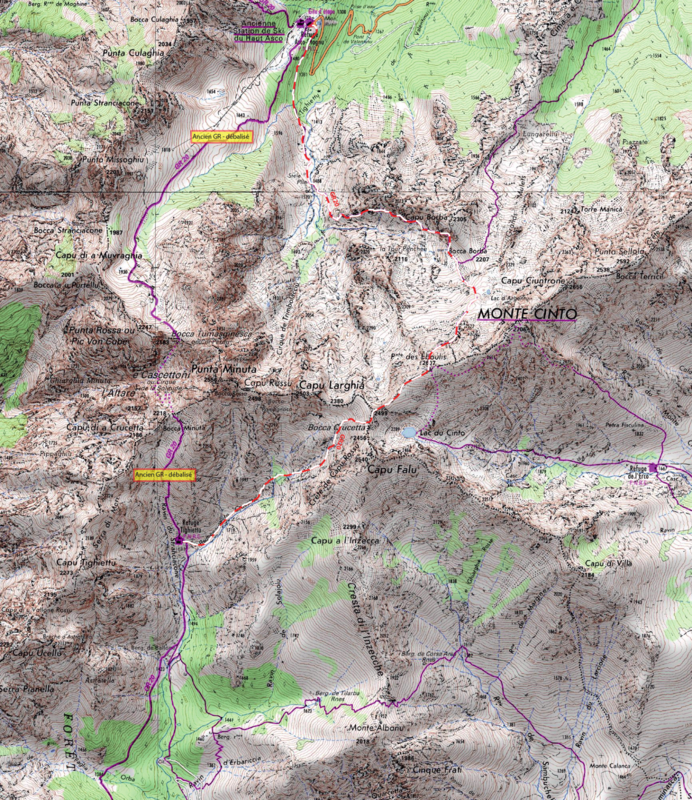 The best maps of the route are produced by the IGN (Institut Géographique National) at a scale of 1:25,000. The series is called the Top 25. You will need half a dozen for the whole route. This is a fold up double sided pocket map the scale is 1cm = 500m it has the entire trail and surrounding hills on it. It is extremely compact and practical, measuring just 7.5cm by 11cm. 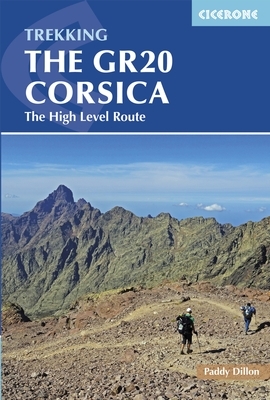 The GR20 Corsica, The High Level Route, by Paddy Dillon. This guide book is a great source of information; it offers a gradient profile and summary of each stage of the trek, from North to South.